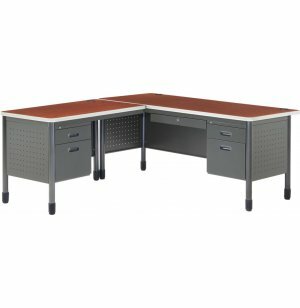 Mesa L-Shaped Desks give teachers more personal workspace within the classroom. 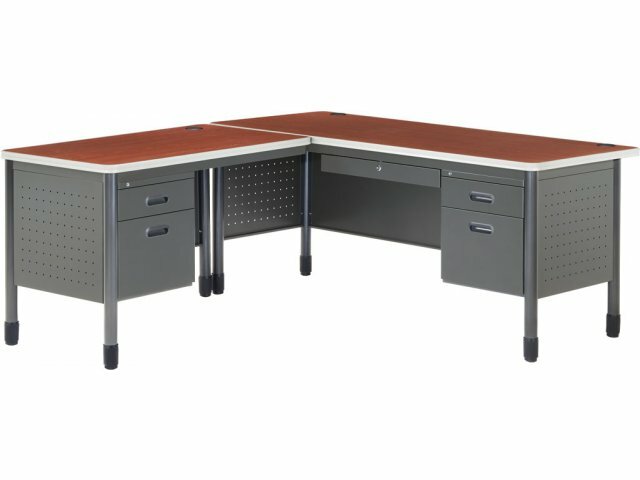 These durable teacher desks provide space for a computer, filing, paper organization, classroom materials and more. Great Shape: The L shape fits well in corners and supplies a large work surface.